How do curators operate within and outside of the gallery? Here we cover some points for artists to bear in mind when building relationships with galleries and the people that work there. The gallery curator is normally the individual who makes the decisions about which artists a space will show. 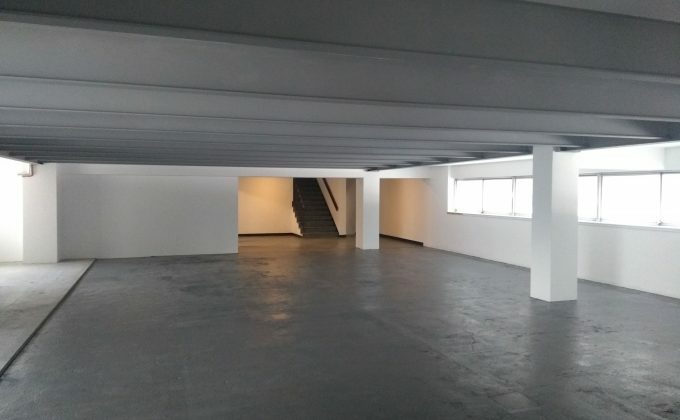 A gallery might not have someone in the named position of ‘curator’, but every space has an individual (or occasionally a number of people) who is responsible for making decisions as to which artists a space works with. If you want to show at a gallery, this is the person you need to identify and make aware of your practice. Sometimes the gallery director is also the curator. Many artists forget that it is part of a gallery curator’s job to find artists to exhibit, and that it is much better to put yourself in a position where your work can be seen or where you can be introduced to them. Although this may seem to be a ‘Catch-22’ situation, there are a number of tips to bear in mind. Gallery curators have friends in the art world (tutors, critics, art journalists, gallery owners) that may be able to influence what exhibitions and artist’s studios they go to see. This is one of the reasons that growing your network is so important as an artist. Through ‘six degrees of separation’ someone you know may recommend your show or work to a gallery/curator. Think of the reputation of any group shows you get involved with – every show you are in is a reflection of your work. Many curators go to open studio exhibitions, as they can see large numbers of artists’ work at one time. Curators are happy to visit artists’ studios if they have time, but hassling them about a visit will not help. If it was really as easy as sending off images to galleries to get an exhibition, everyone would have exhibitions all the time. Ask your friends how many of them have received exhibition offers after sending unsolicited applications, and then how much time they have spent on making such applications. Curators are incredibly busy people, and an average curator at a commercial gallery might receive between 30 and 60 unsolicited postal applications per week, (which could be up to 3000 per year) and spend at most 2 minutes looking at each (if at all); eve more applications and submissions will come in by email, including invitations to exhibitions by artists they have not heard of who have added them to their mailing list without permission. Applications without self-addressed, stamped envelopes are very unlikely to be returned, and messages from unknown artists tend to get deleted pretty quick. Furthermore, the average staff of a contemporary art gallery is around 3-5, so it’s likely no one will have time to give your application much thought. You need to build relationships with curators, not simply bombard them with material in the hope that they will attend an event. Also remember that while some curators are employed by specific galleries, many work independently as freelancers, and collaborate with spaces on a project by project basis. Every curator has an individual way of working (just as every artist and gallery does) so if you are hoping to build a relationship with one then its important to understand how they work. Read our curator case studies to find out more.